A death in the wilderness. A reporter works a single lead. BONE MAKER fuses Stieg Larsson’s THE GIRL WHO PLAYED WITH FIRE with the frenzy of THE POET. 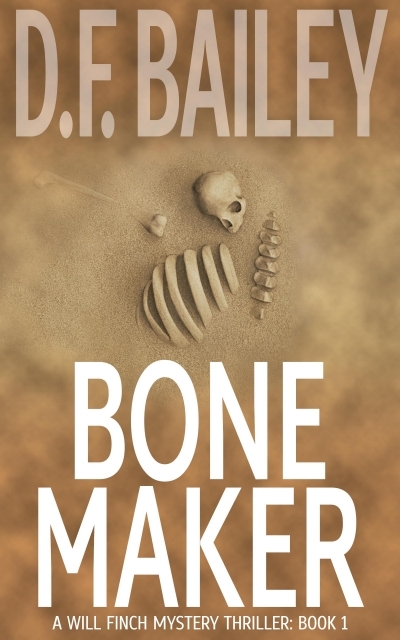 Inspired by true events, Bone Maker is the first thriller in this series of noir crime novels — a new crime trilogy — that races from coastal Oregon to San Francisco, Moscow, Honolulu and Washington DC. It intersects the worlds of international finance, cryptocurrency software algorithms, and corruption that reaches from the US Senate to Turk Street in the Tenderloin District.